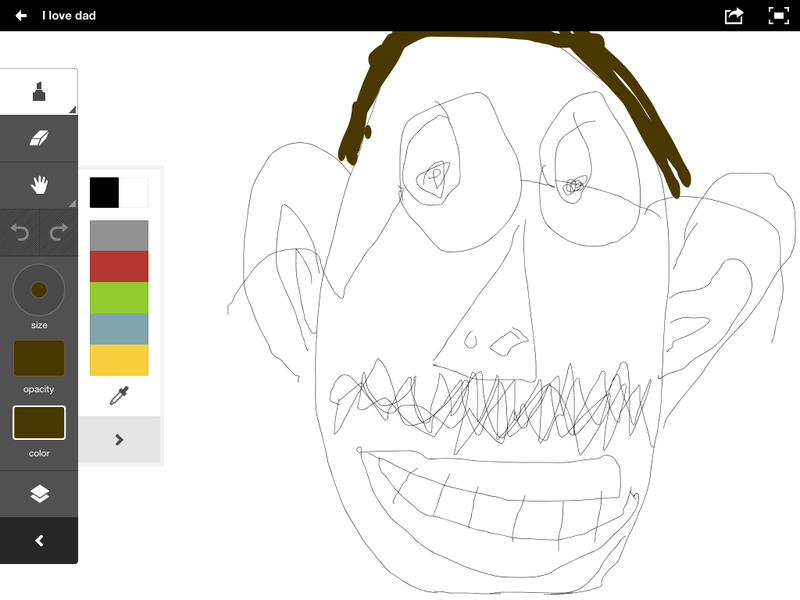 My daughter Ludi’s drawing of me, created in Adobe Ideas on an iPad 2. Today was “Parents get to watch dance class” day. In the afternoon my daughter Ludi and I went to see my oldest daughter, Jadzia. The “public” part of the class came at the end, so Ludi and I were waiting for a bit. During the downtime we played a few games on the iPad, and then she drew a picture of me using Adobe Ideas. This entry was posted in Uncategorized and tagged adobe ideas, art, atari st, graphics, ipad, neochrome, reminiscence on Apr. 6, 2013 .